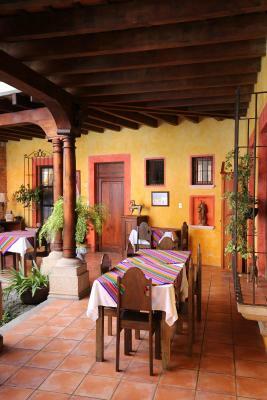 Lock in a great price for Hotel Palacio de Doña Beatriz – rated 8.9 by recent guests! 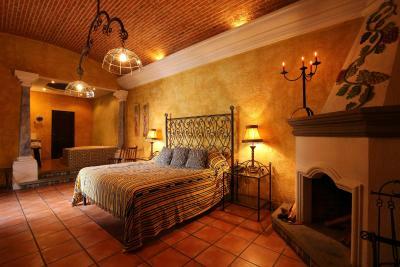 Room was very comfortable and the property is beautiful with so many details that make it so nice. Excellent breakfast Wifi is top notch. 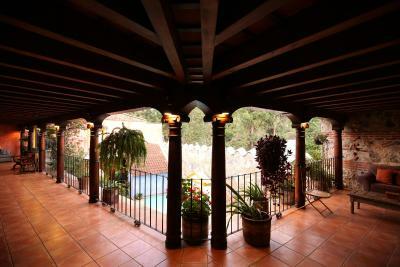 Intimate property with only 7 rooms make it very peaceful. In a gated community and very safe neighborhood. Quaint hotel in the middle of a beautiful, private neighborhood of Antigua. 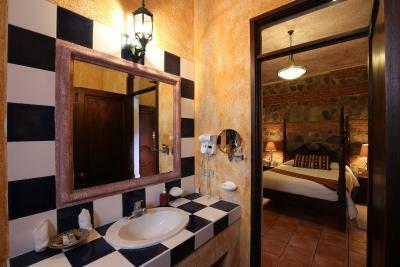 The rooms were also quite large with very comfortable beds! Great area to walk around and explore. I loved everything!! 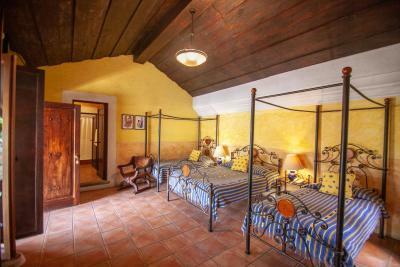 This was our second stay and Dona Beatriz and it did not disappoint. 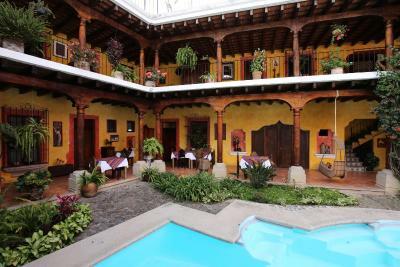 It is a beautiful hotel and the staff are wonderful making our time here such a pleasure. The Staff was incredibly friendly and helpful! 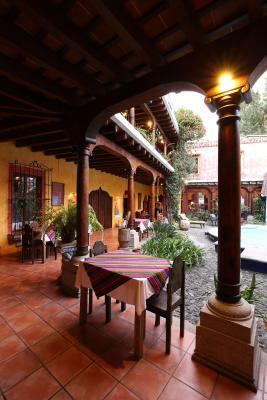 The breakfast was good and the hotel is very pretty and cozy. 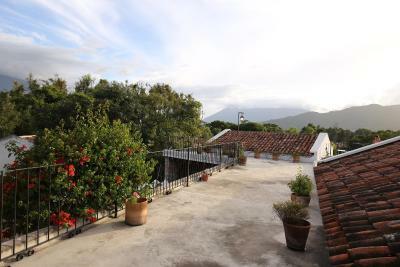 Beautiful grounds with large terrace outside the rooms. The room and the bed was excellent, clean. attentive staff. 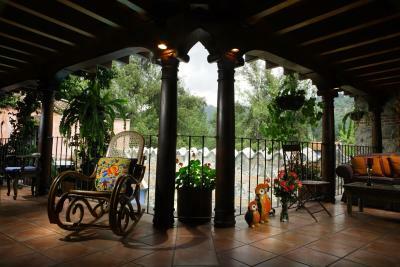 Loved the breakfast, in the patio, overlooking the pool, and guarded by an Angel. The bed was good. 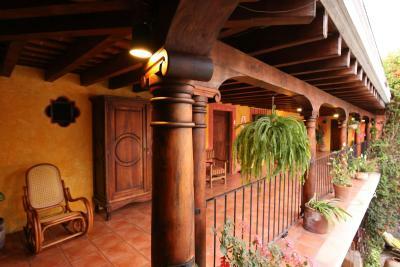 It’s a lovely house with nice details , the neighborhood is nice also. 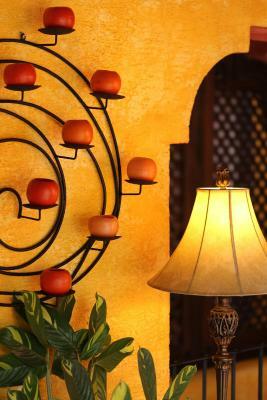 The staff were extra accommodating,warm,friendly. The hotel is absolutely beautiful. Private gated community. Walkable distance into town. 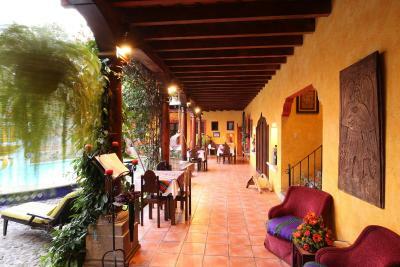 Hotel Palacio de Doña Beatriz This rating is a reflection of how the property compares to the industry standard when it comes to price, facilities and services available. It's based on a self-evaluation by the property. Use this rating to help choose your stay! 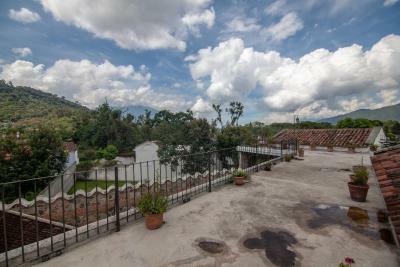 One of our best sellers in Antigua Guatemala! 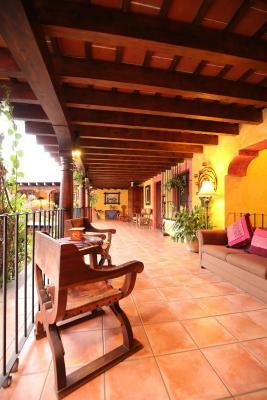 Offering beautiful, colonial-style suites set around a courtyard, Hotel Palacio de Doña Beatriz is less than half a mile from Antigua’s historic quarter. 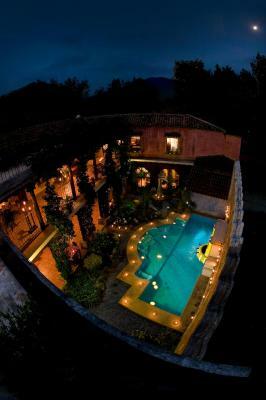 It features an outdoor swimming pool, a hot tub and a restaurant. 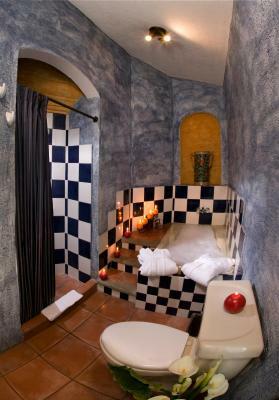 Each spacious suite at Hotel Palacio de Doña Beatriz has striking décor including rich colors and fabrics, and finishes such as colored tiles and terracotta floors. 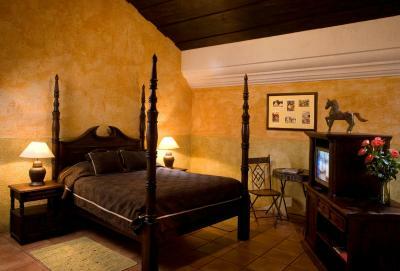 There is a 4-post bed, a sitting area with cable TV, and free Wi-Fi. 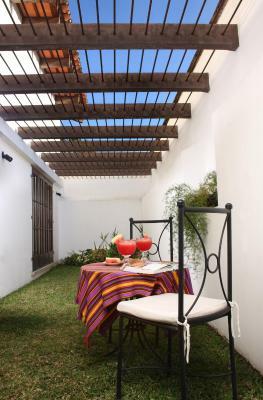 An breakfast is served in the courtyard, where there is a fountain and plants. 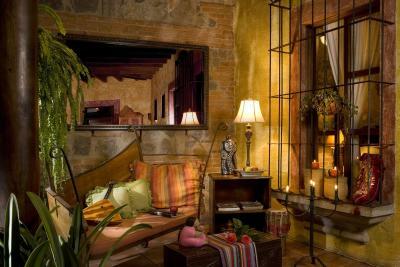 There is a also a charming lounge area and a library. 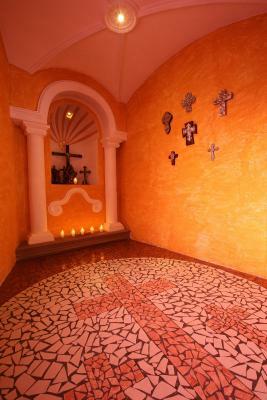 Antigua Cathedral and Central Park are less than 1,650 feet from the hotel. The famous Agua Volcano is a 10 minute drive away. 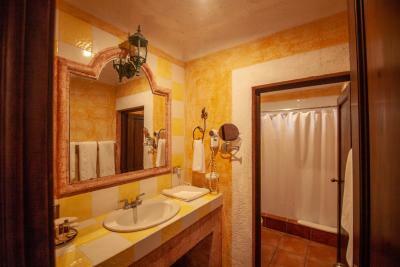 When would you like to stay at Hotel Palacio de Doña Beatriz? 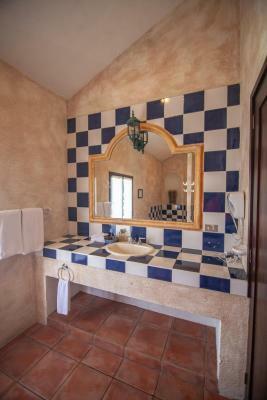 This spacious suite has striking décor including rich colors and fabrics, and finishes such as colored tiles and terracotta floors. 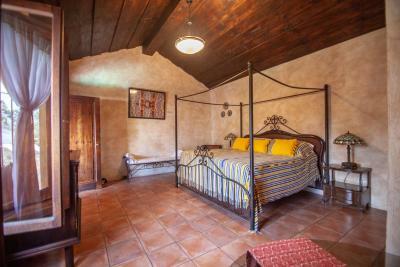 There is a 4-post bed, a sitting area with cable TV, and free Wi-Fi. 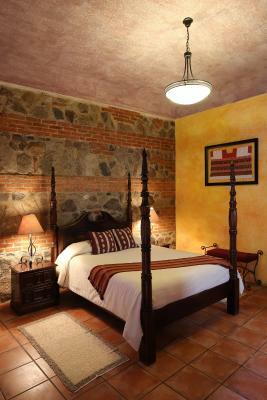 This spacious suite has striking décor including rich colors and fabrics, and finishes such as colored tiles and terracotta floors. 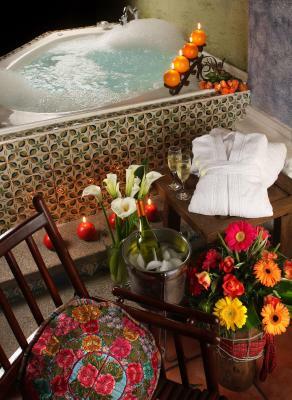 There is a 4-post bed, a sitting area and a hot tub hydro-massage bathtub. 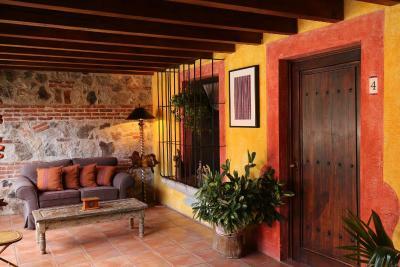 There is cable TV and free Wi-Fi. 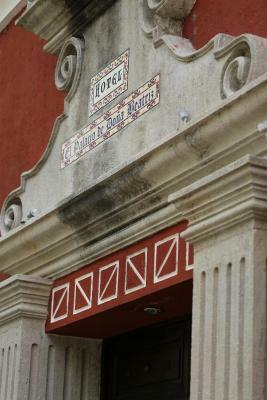 House Rules Hotel Palacio de Doña Beatriz takes special requests – add in the next step! One child under 2 years is charged GTQ 40 per person per night in a crib. Up to two older children or adults are charged GTQ 200 per person per night when using existing beds. 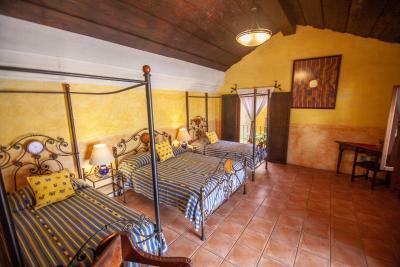 One older child or adult is charged GTQ 200 per person per night in an extra bed. 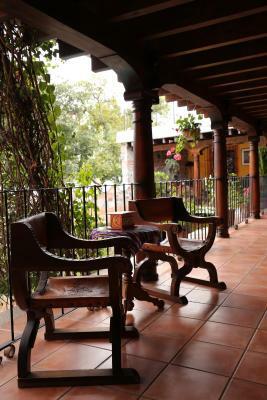 Hotel Palacio de Doña Beatriz accepts these cards and reserves the right to temporarily hold an amount prior to arrival. Loved the service and personal service by owner. Very caring staff work here. 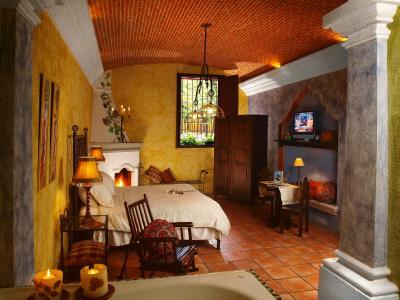 I absolutely loved everything about the hotel, its breathtaking colonial style, gorgeous decor and incredibly spacious rooms...every detail of the hotel is very immaculately positioned. 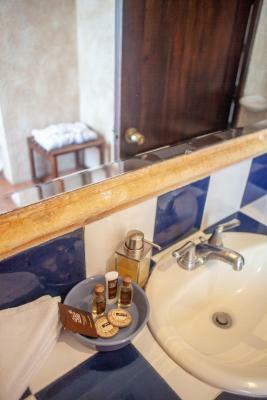 The service of the staff is the hotel's main asset. 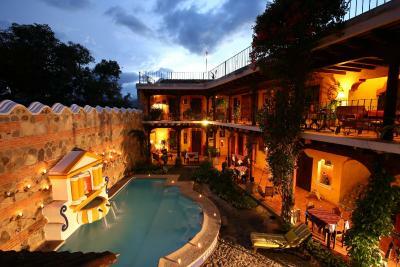 I will definitely comeback to this hotel when I am back in Antigua. Had to get used to the walk in, but not a problem. 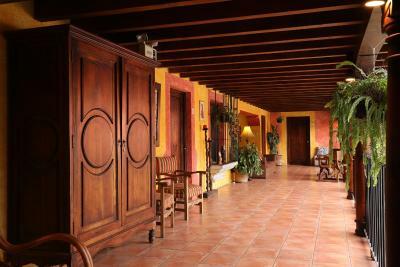 Very unusual hotel — on a former coffee plantation on edge of town but short walk in. Hotel is gorgeous— staff was wonderful, room was amazing!! Huge and clean!! Thank you for making my stay so great! And very peaceful at night. 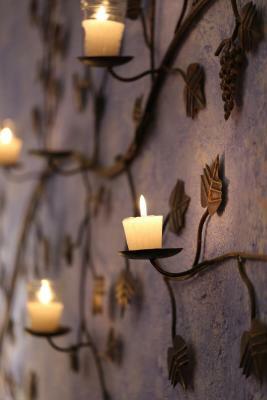 Beautiful setting and room decor. What a great place to stay in. Antique. 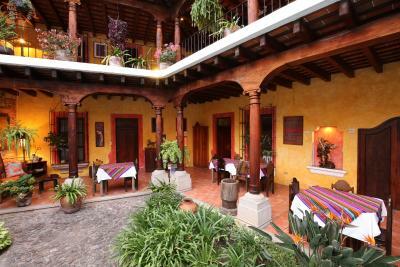 Very nice boutique hotel with a great staff. Very quit en comfortable at a compound near the centre (900mtr). 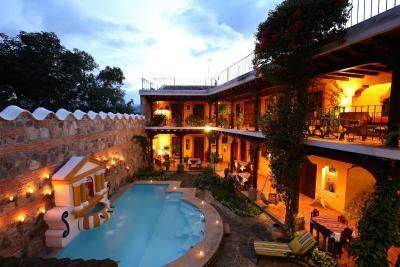 A must stay in Antiqua!! It was not close to center of town. What a beautiful hotel!! We don't want to leave and will definitely be back. 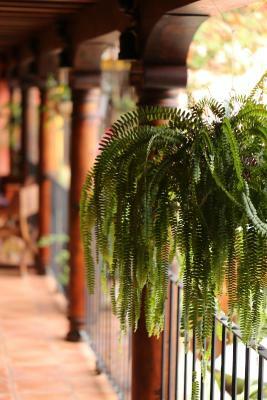 The staff were so wonderful and made our stay even better.